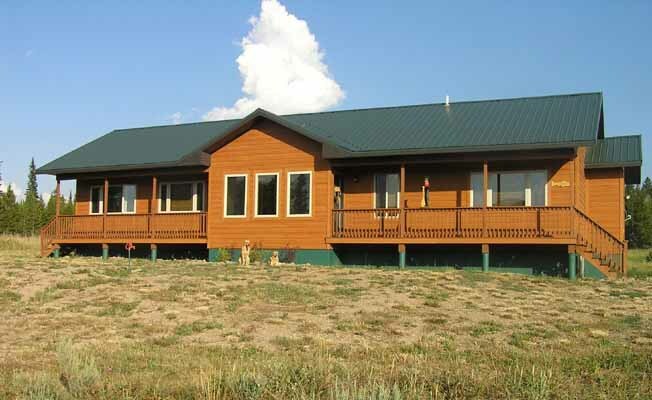 Our Montana House is a new vacation home built in 2005 that will sleep up to 8 people. A very nice 1,630 square-foot ranch house with 3 bedrooms and 2 full baths. The Elk Room (master bedroom) has a queen-size bed with its own private bathroom. The Wolf Room has a queen-size bed. The Falls Room has two full-size beds. There is a full bathroom between these two bedrooms. Available for daily or weekly rental (4 night minimum stay - June through August and selected dates in November and December). See our website at www.ourmontanahouse.com for more information.